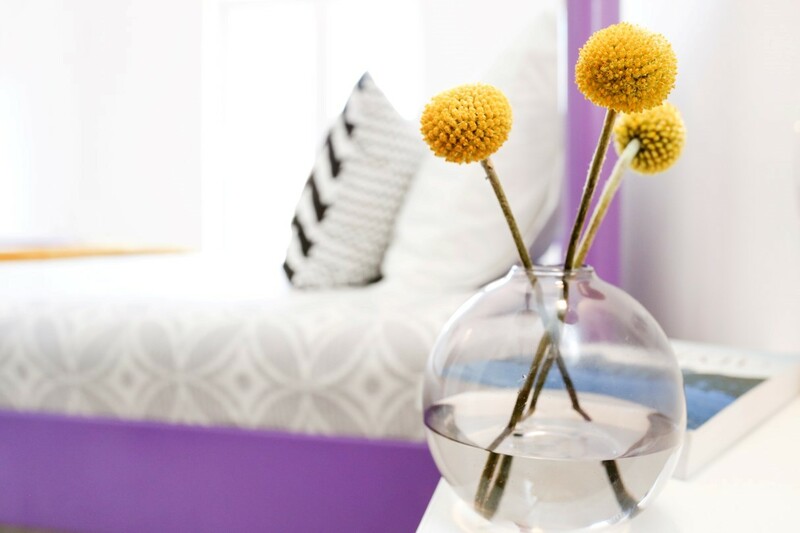 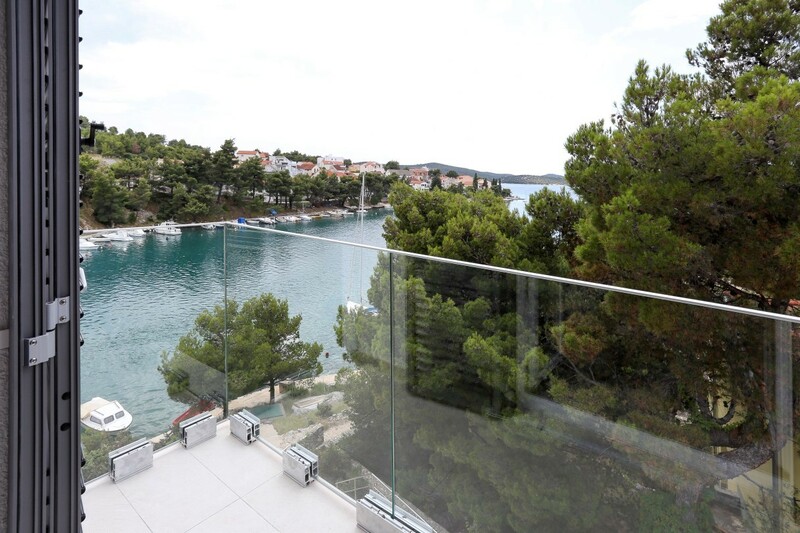 Sea view, peace, luxury - a real dream! 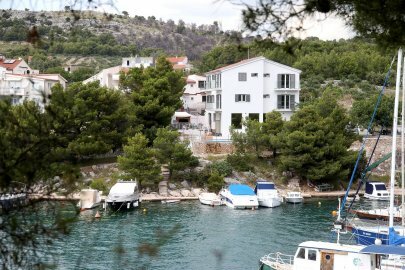 -10% from 10.08. to 23.08. 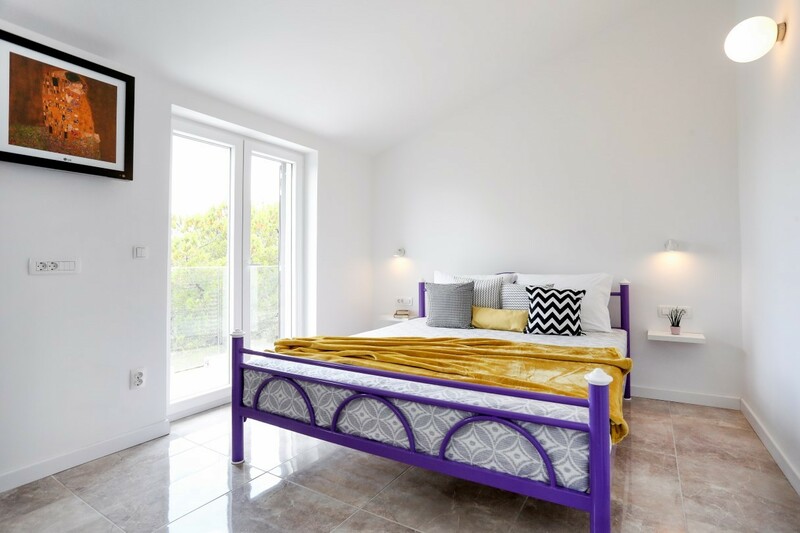 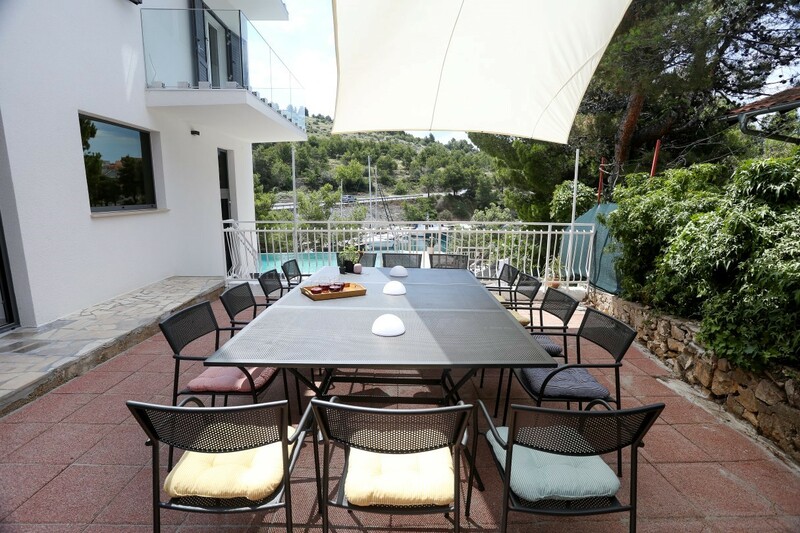 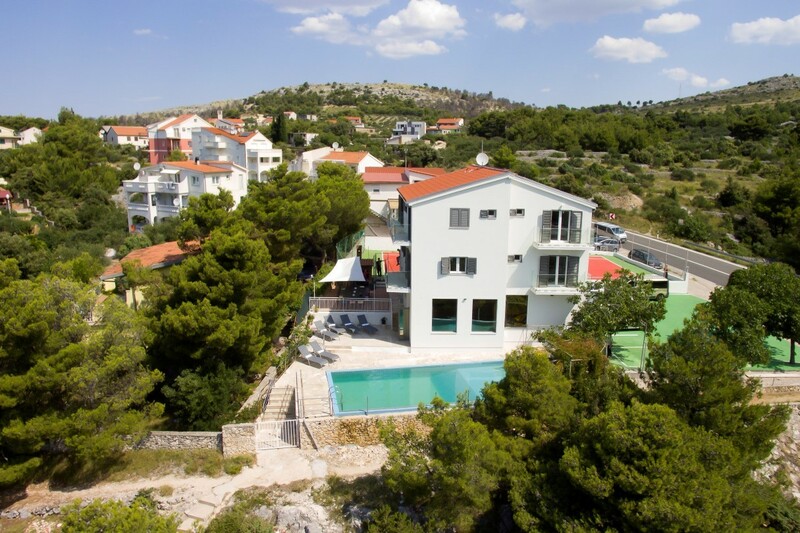 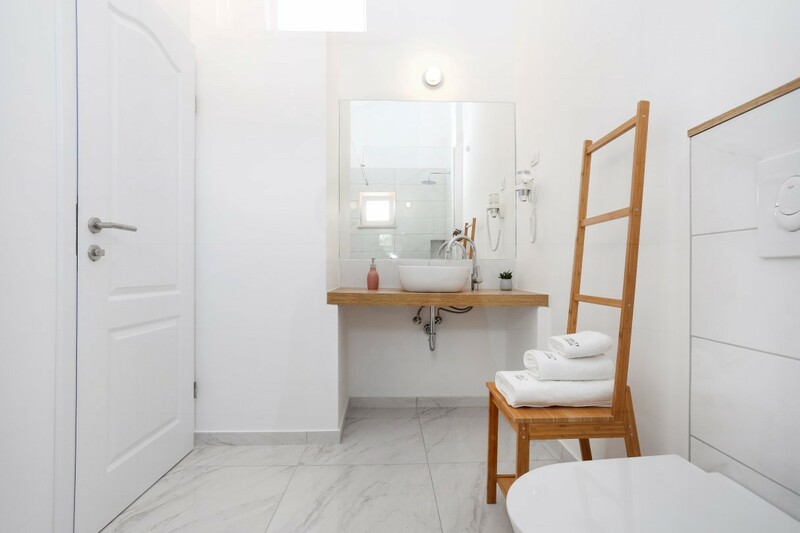 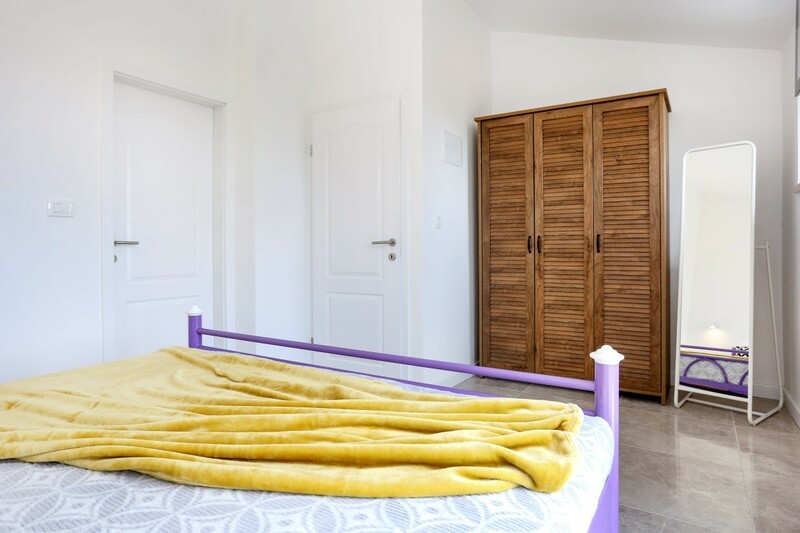 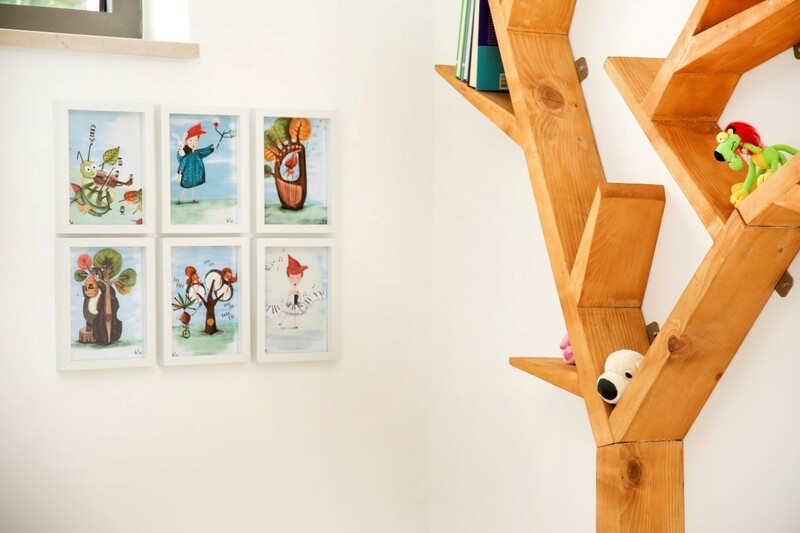 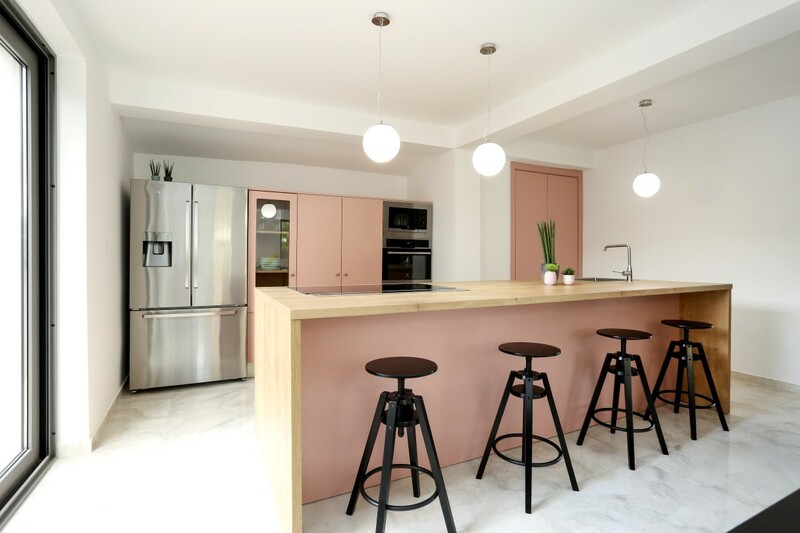 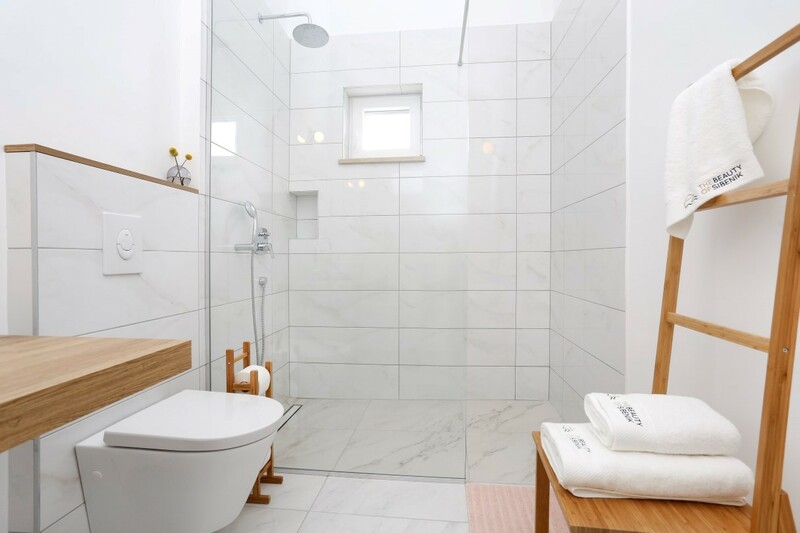 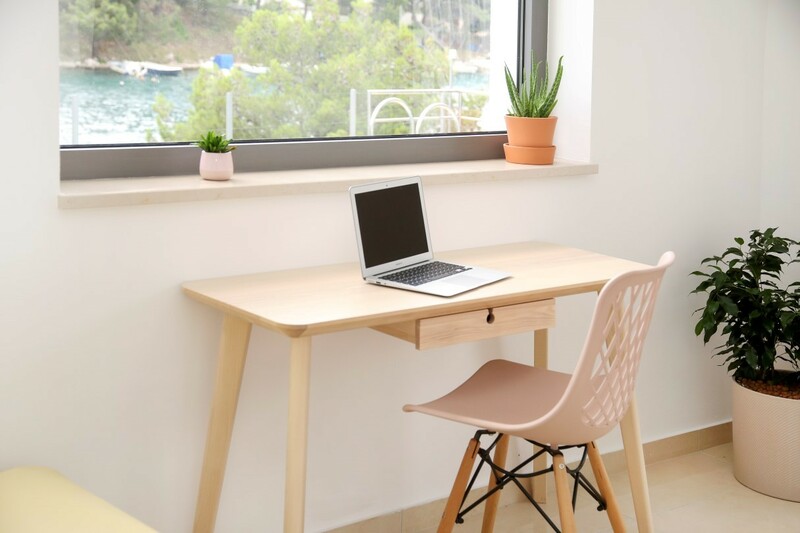 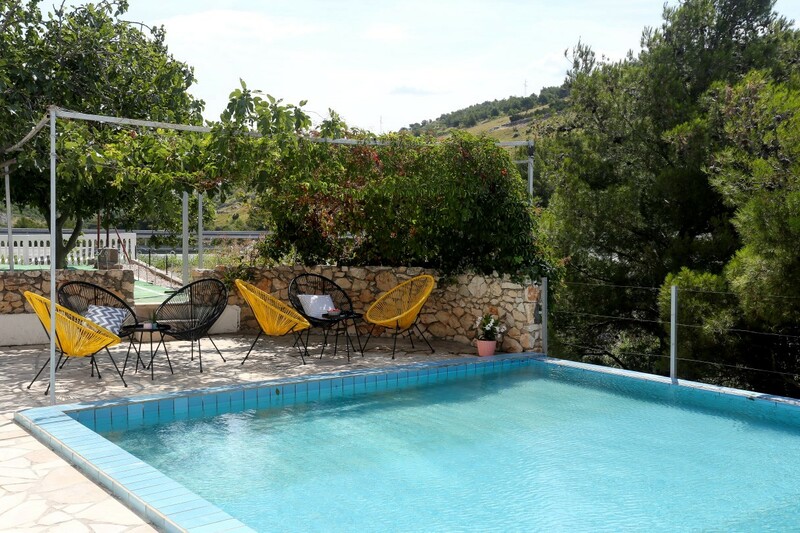 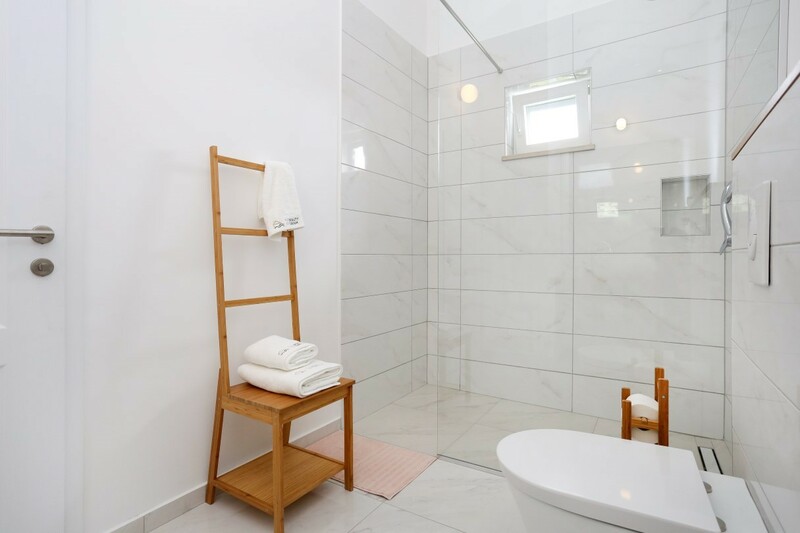 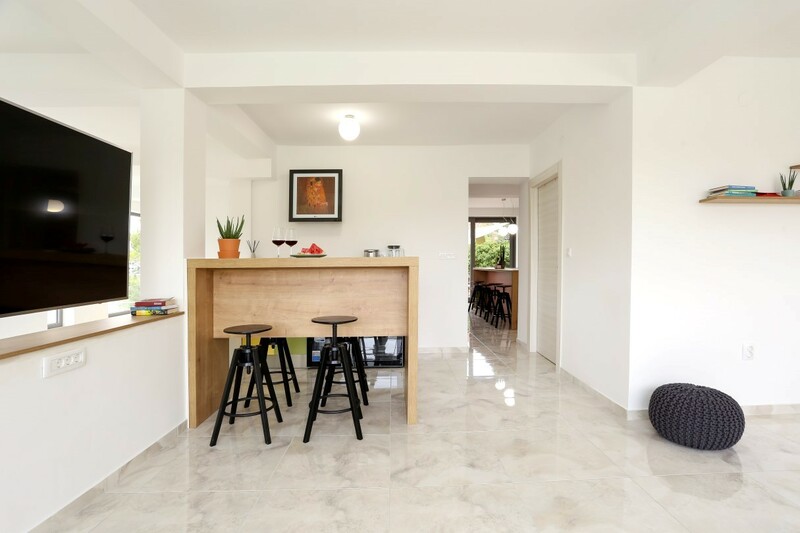 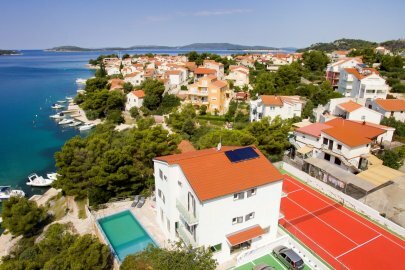 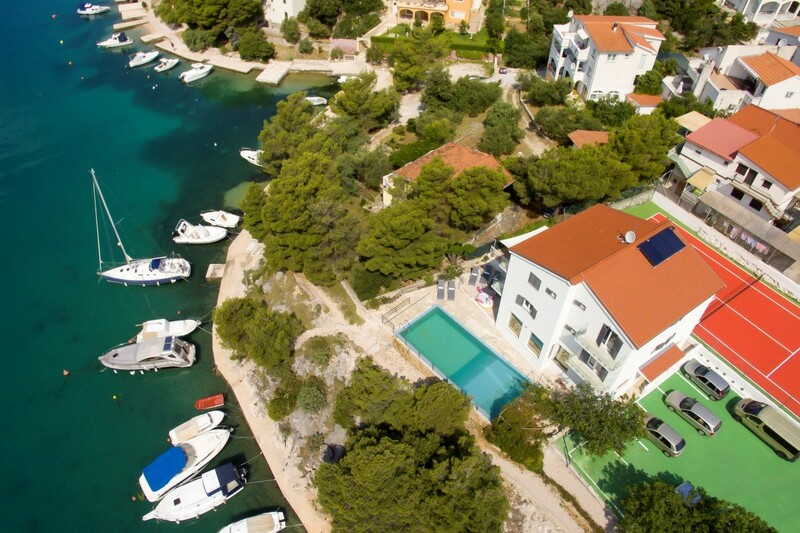 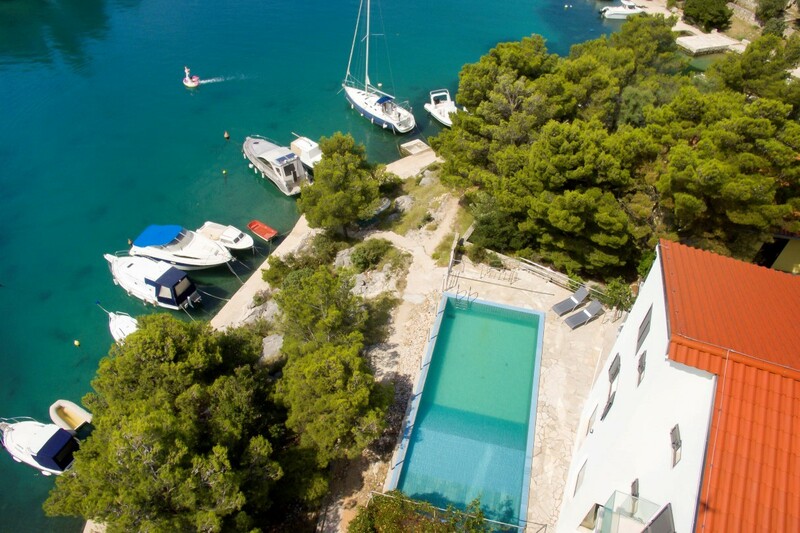 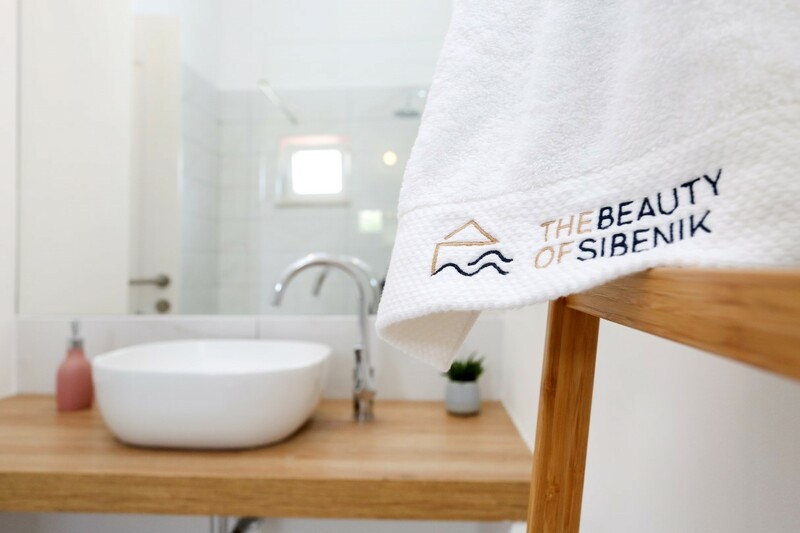 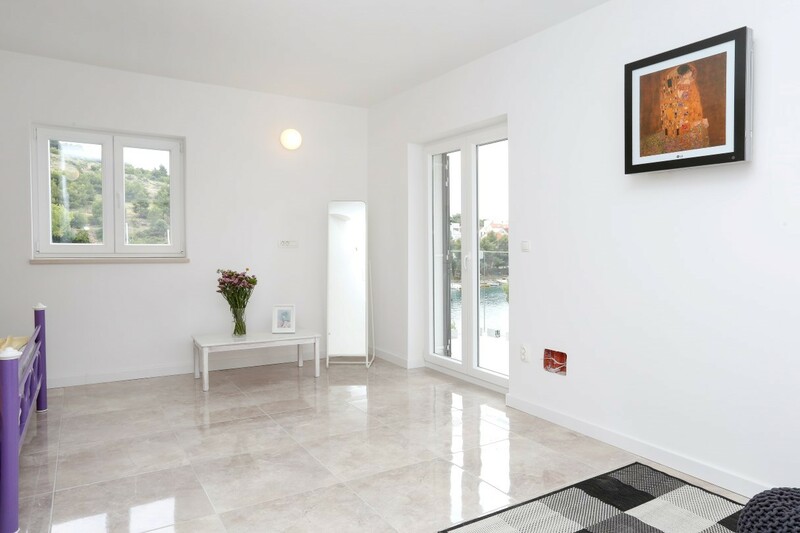 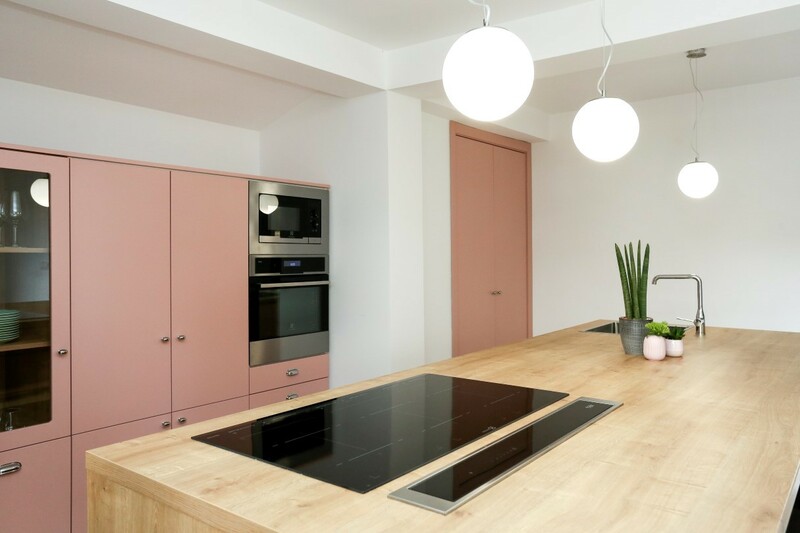 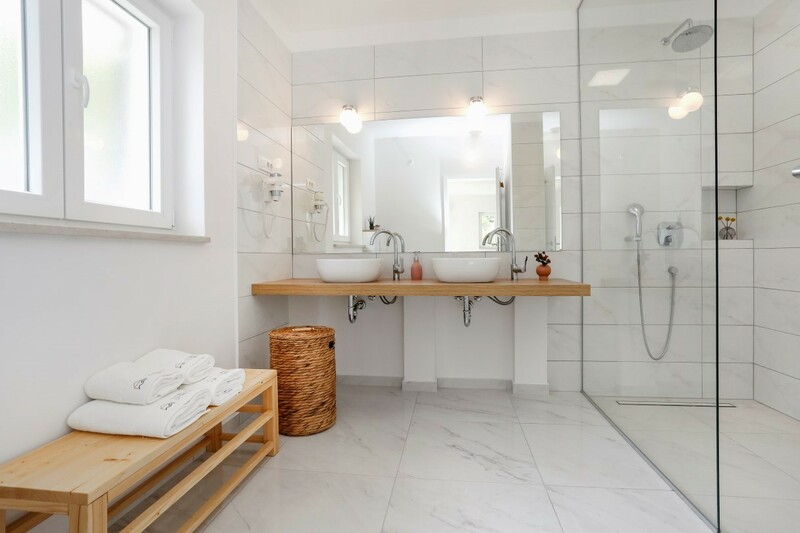 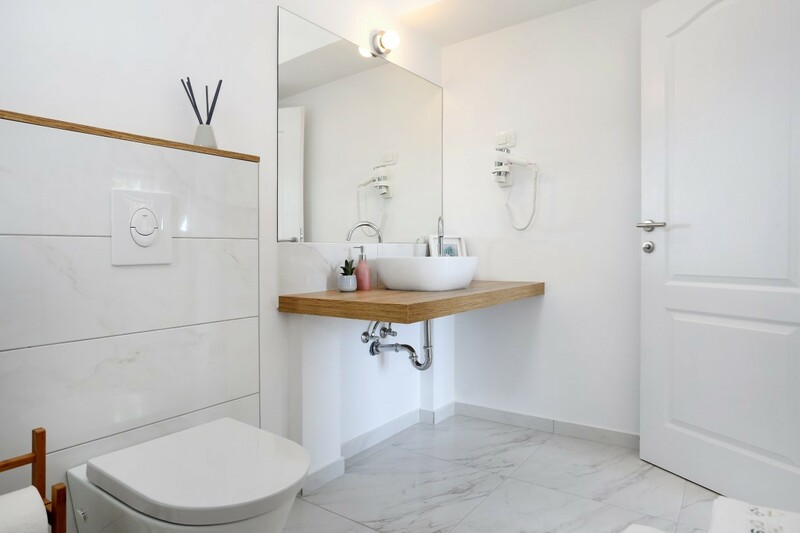 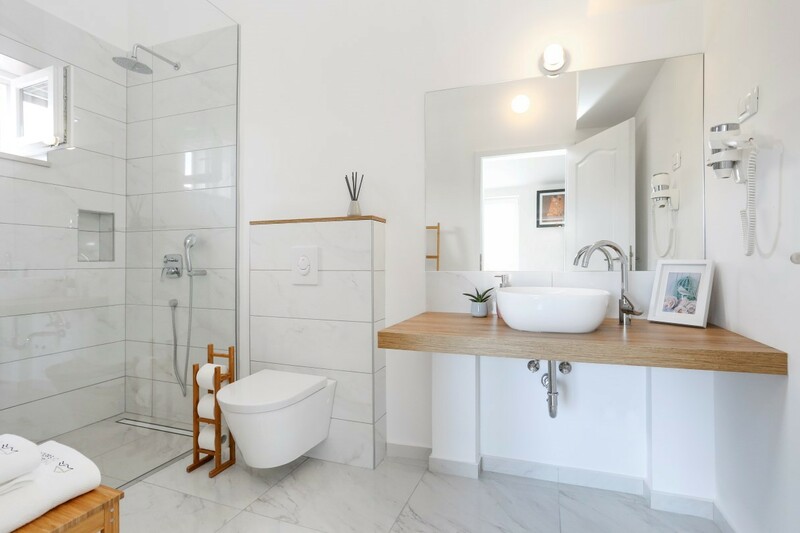 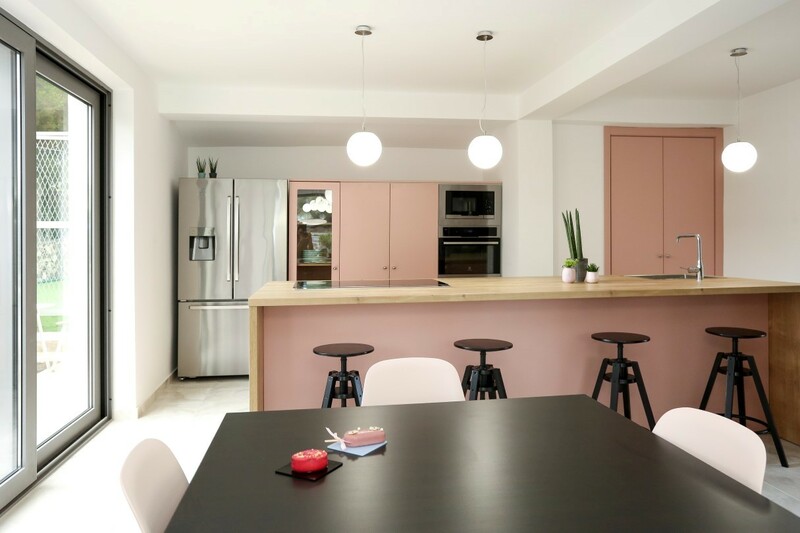 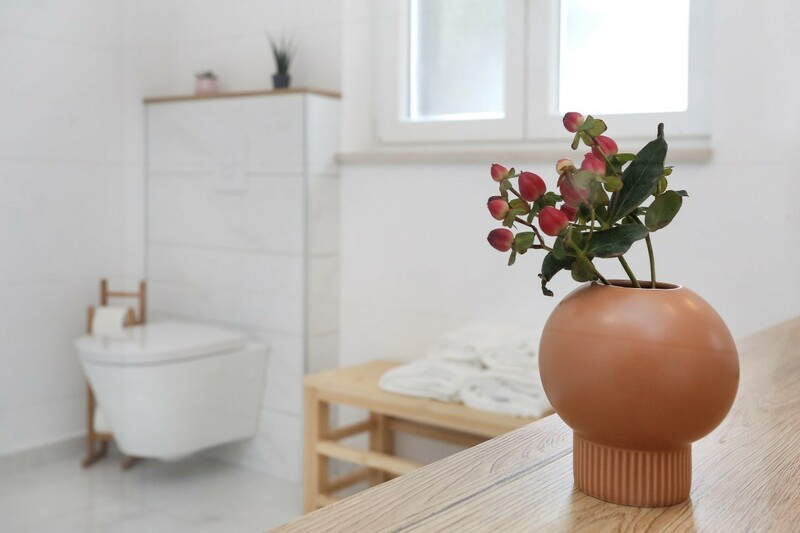 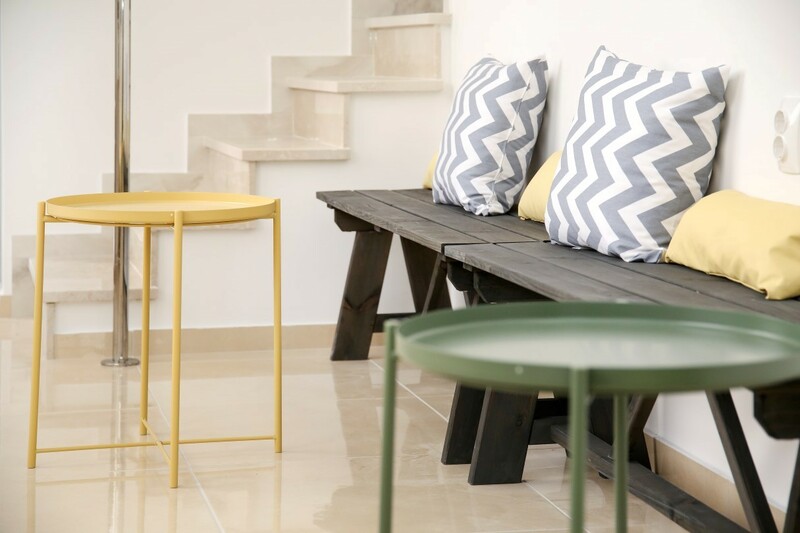 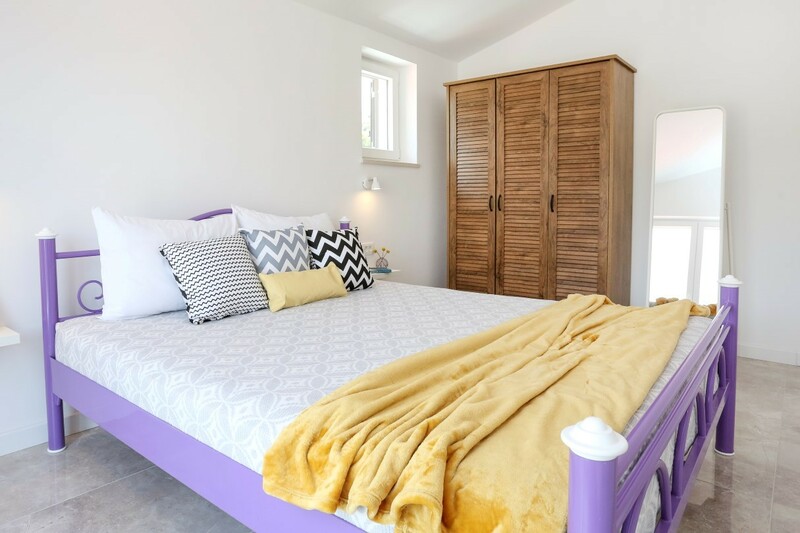 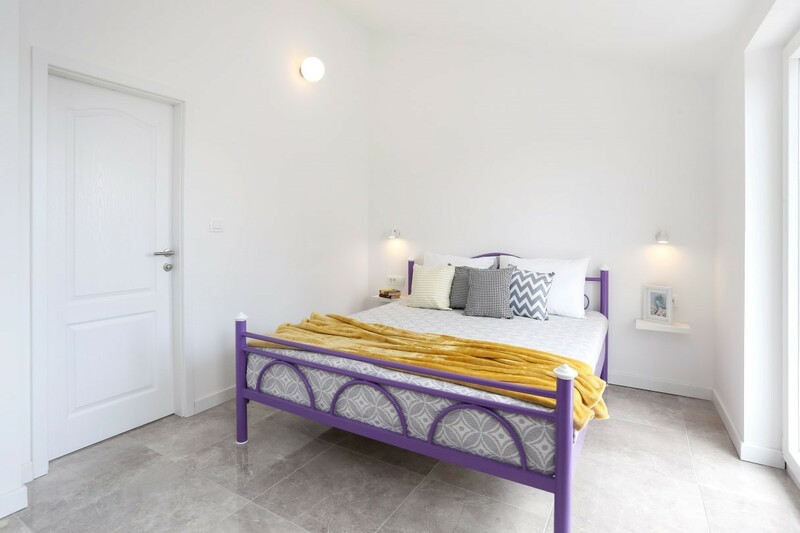 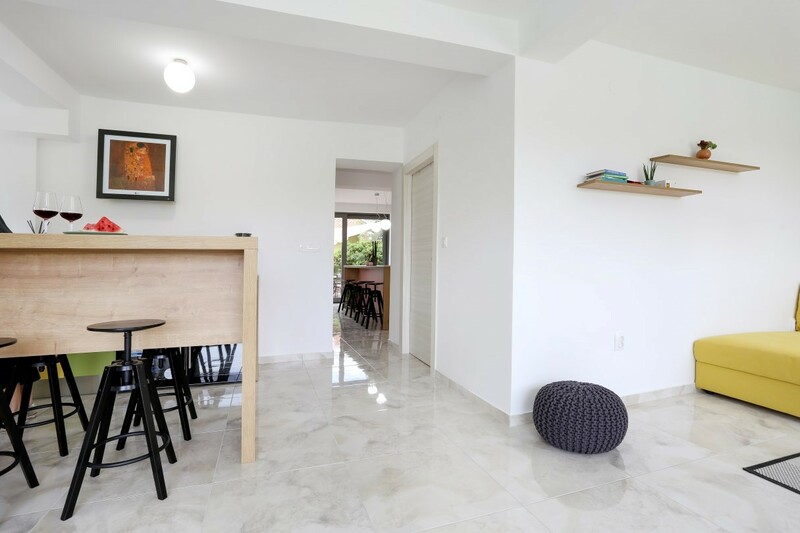 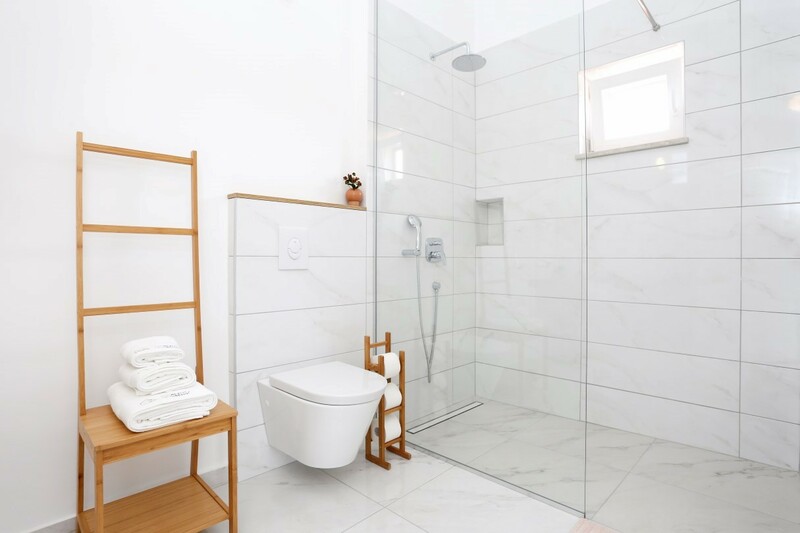 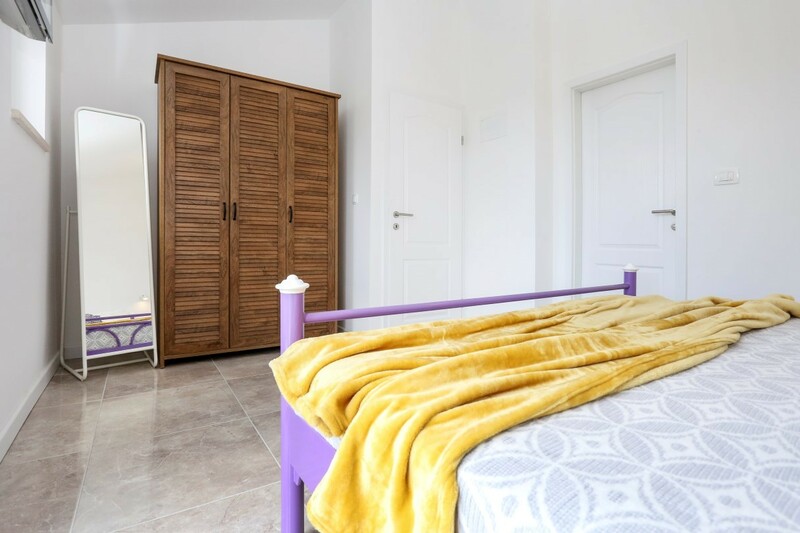 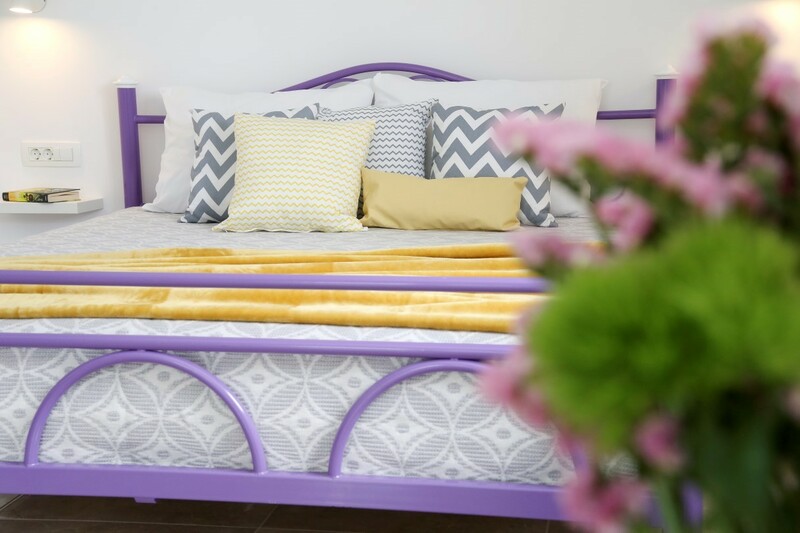 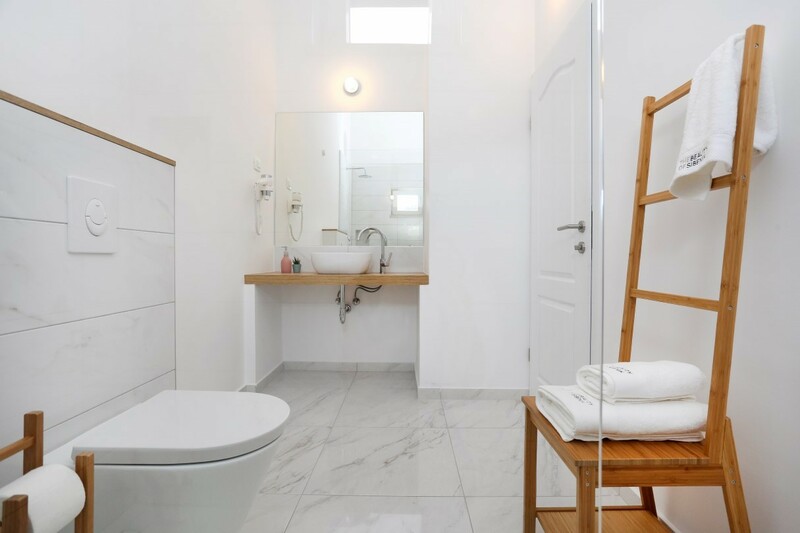 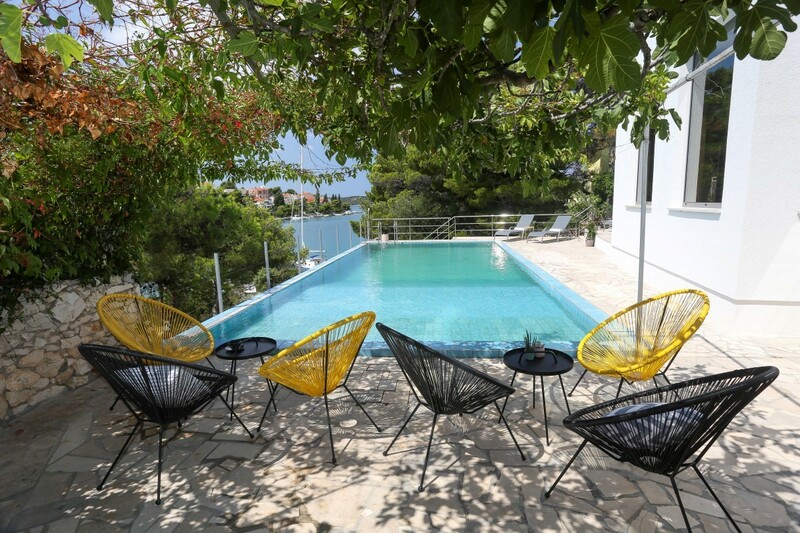 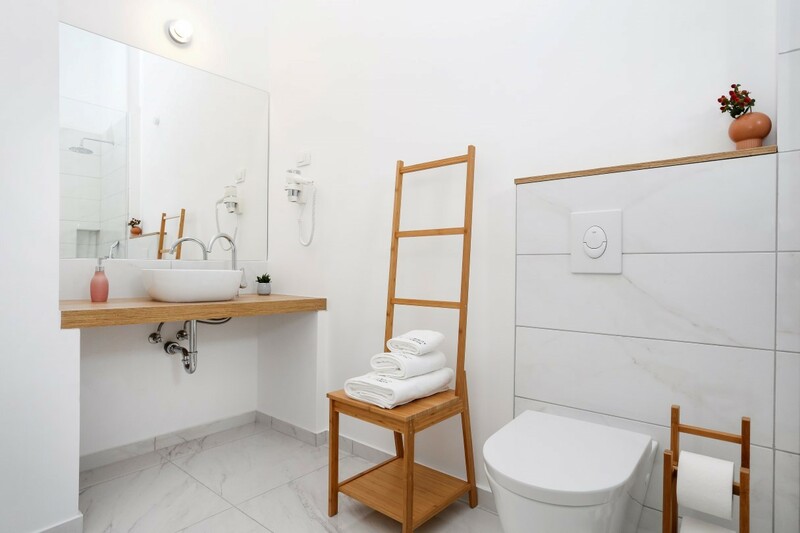 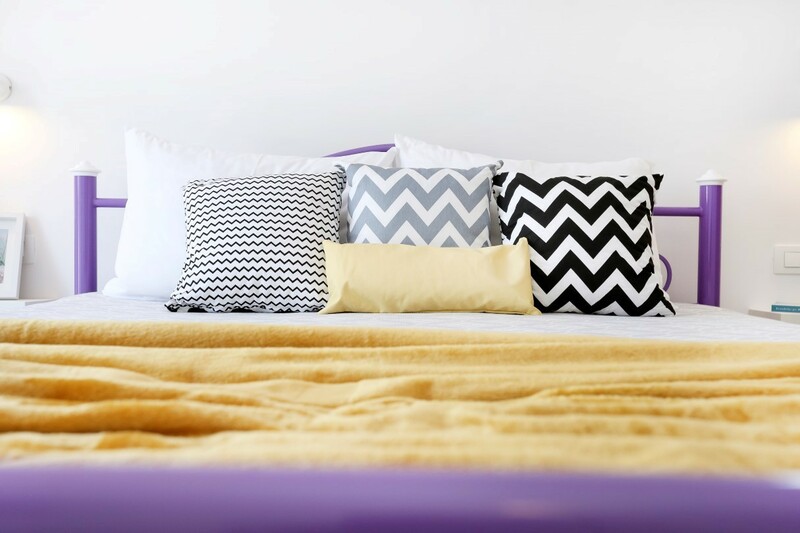 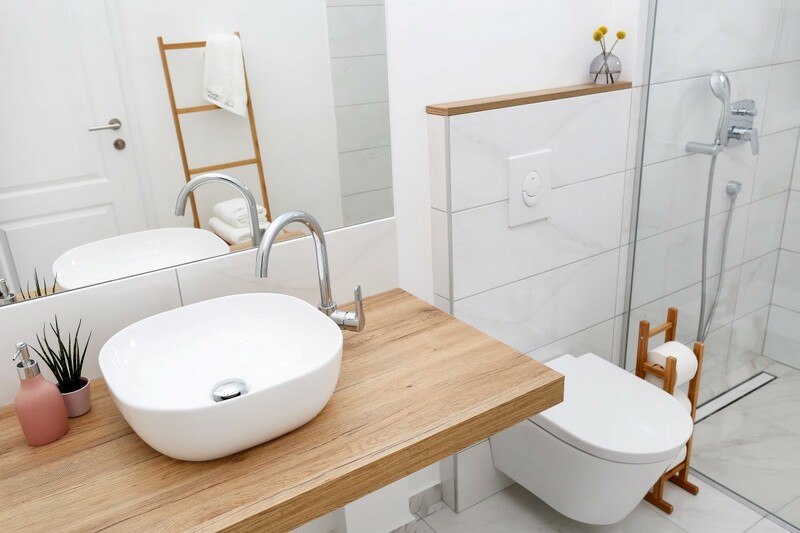 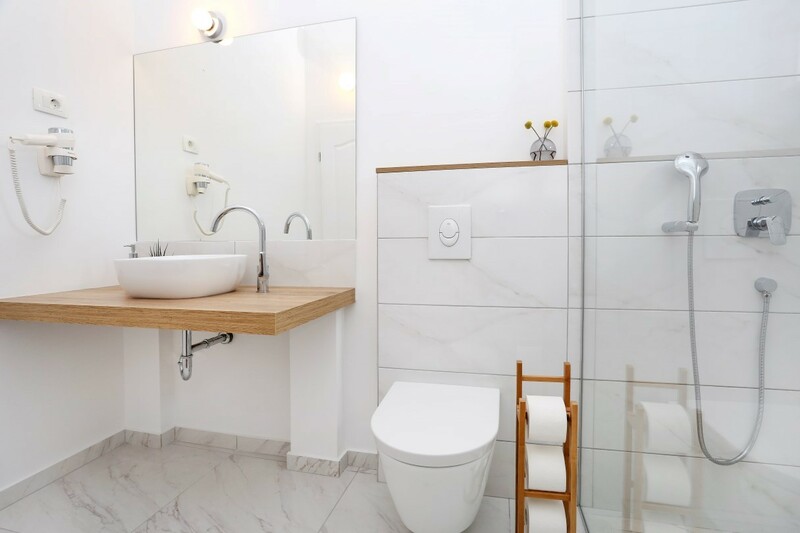 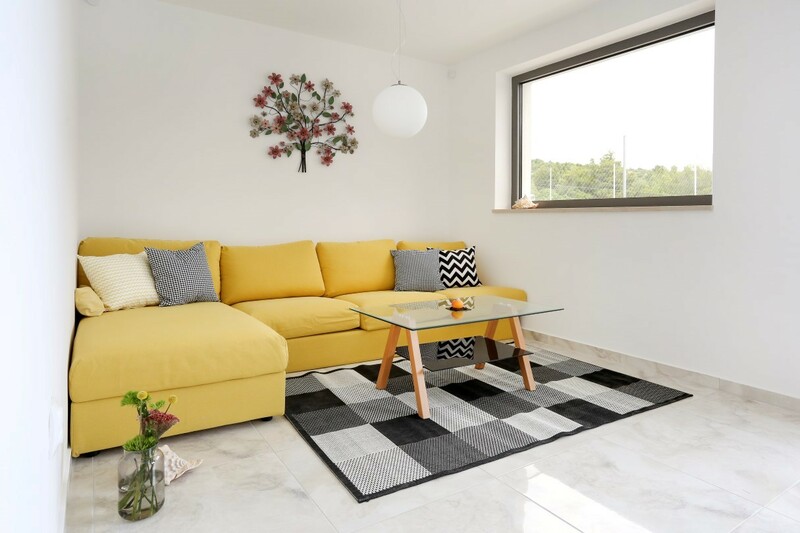 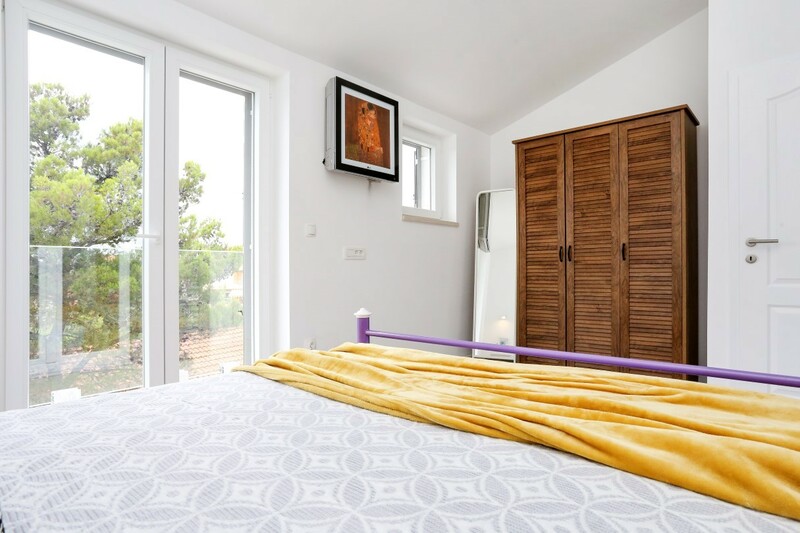 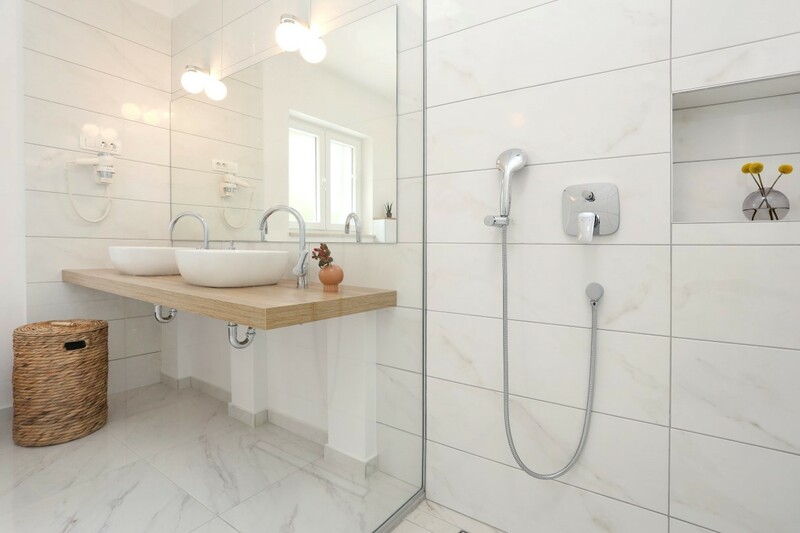 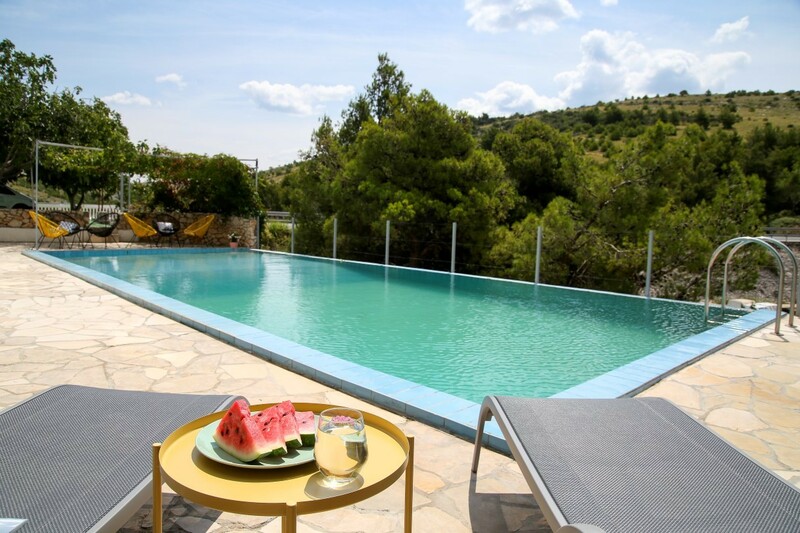 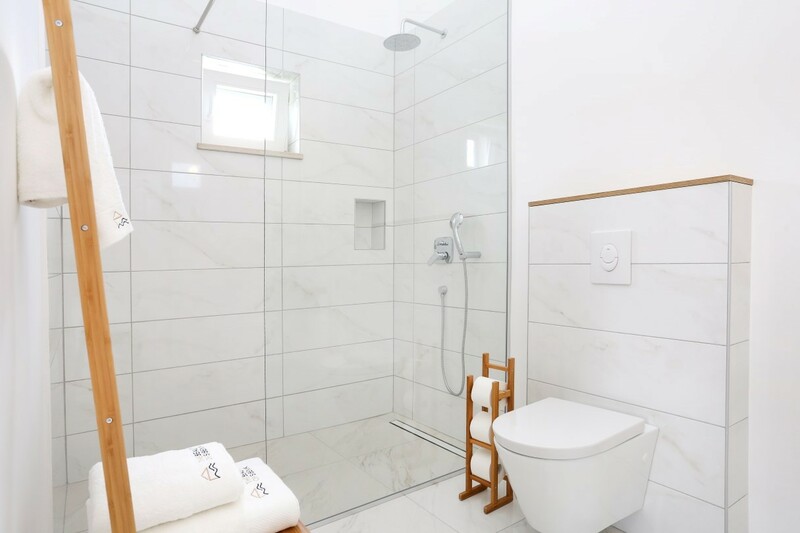 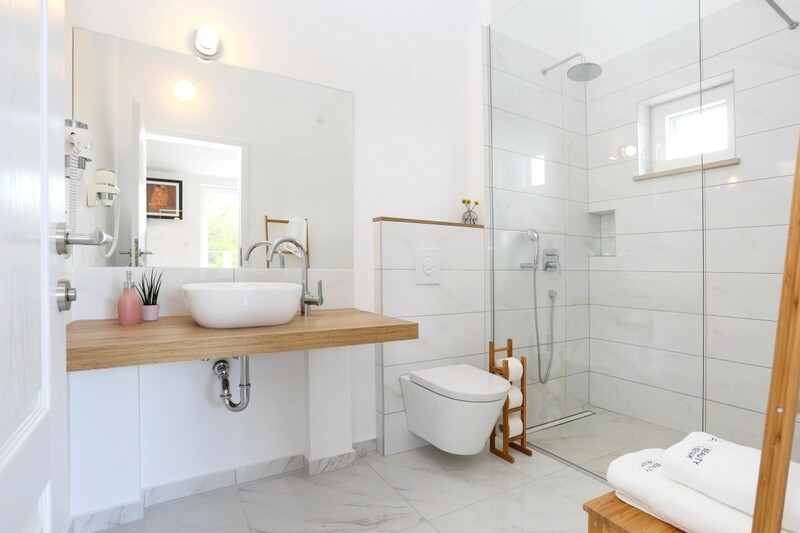 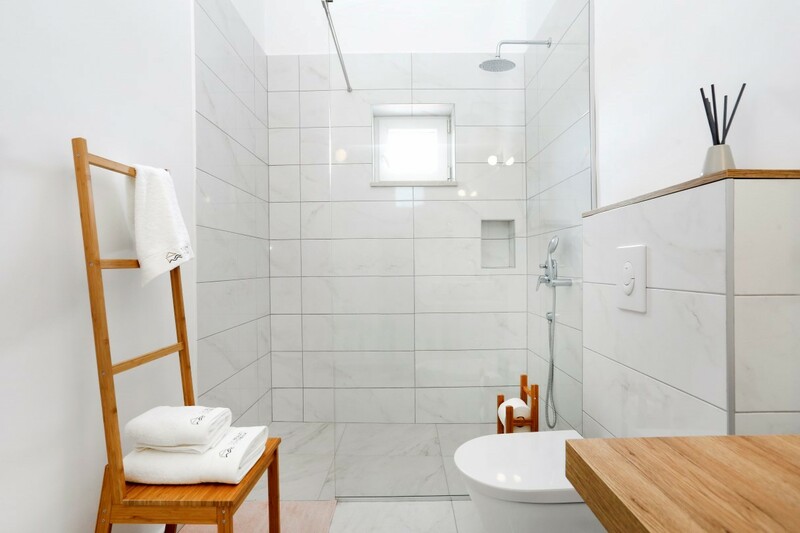 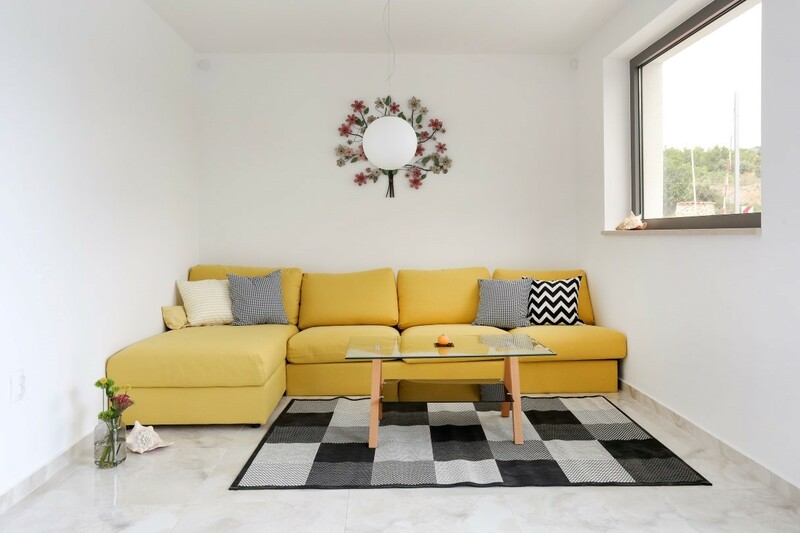 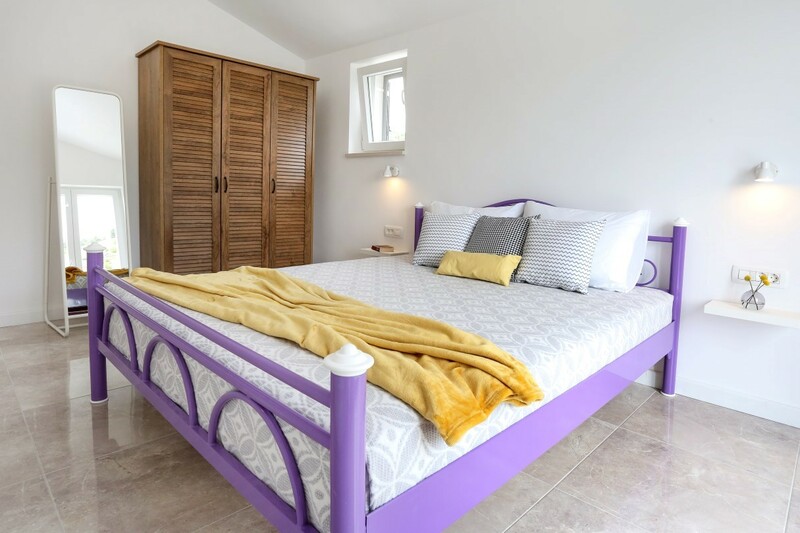 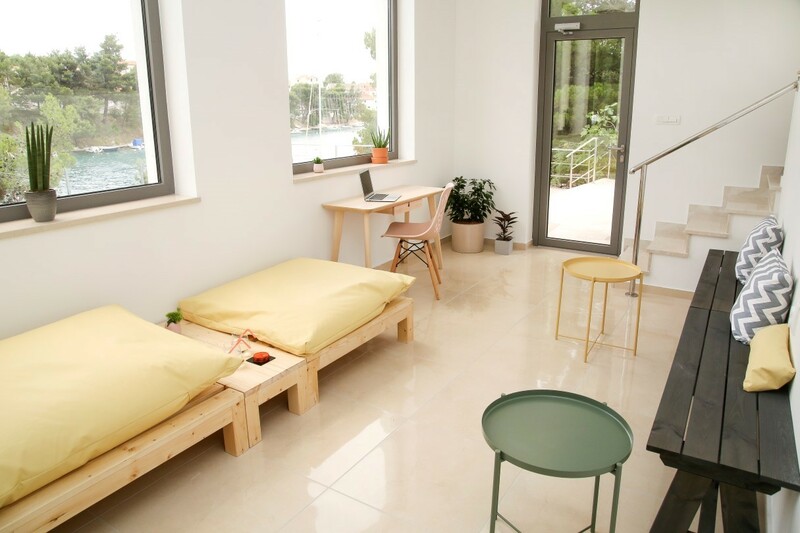 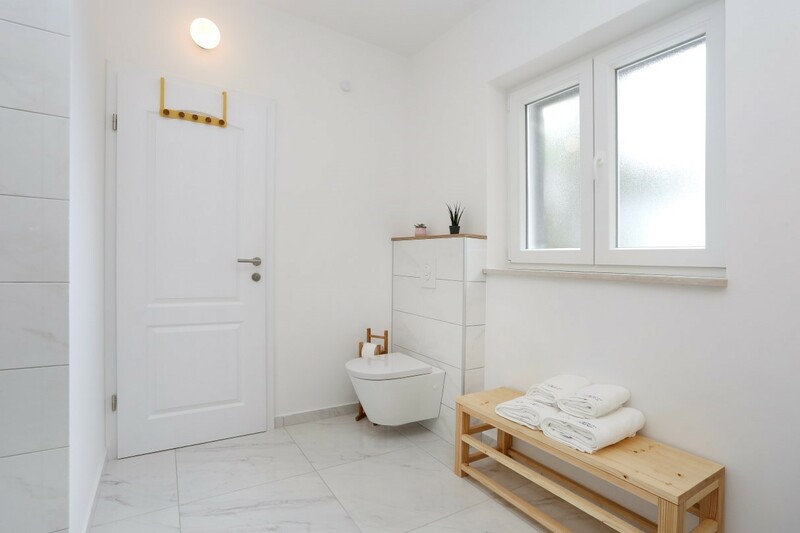 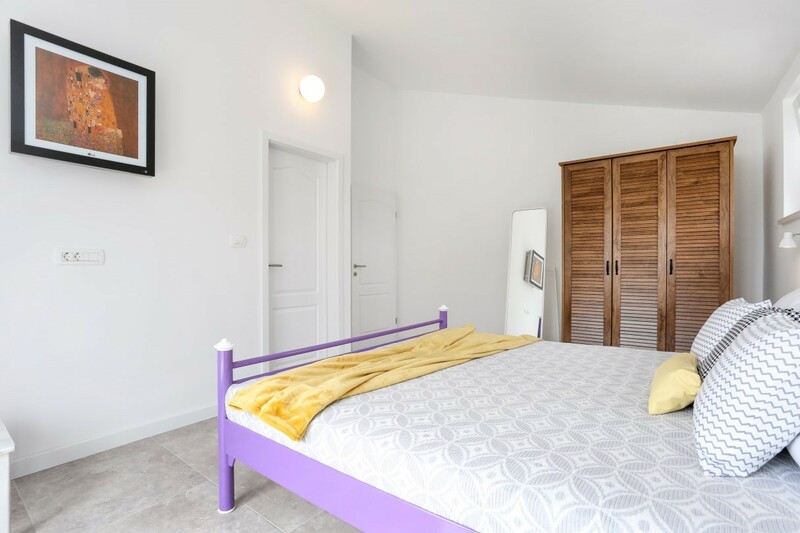 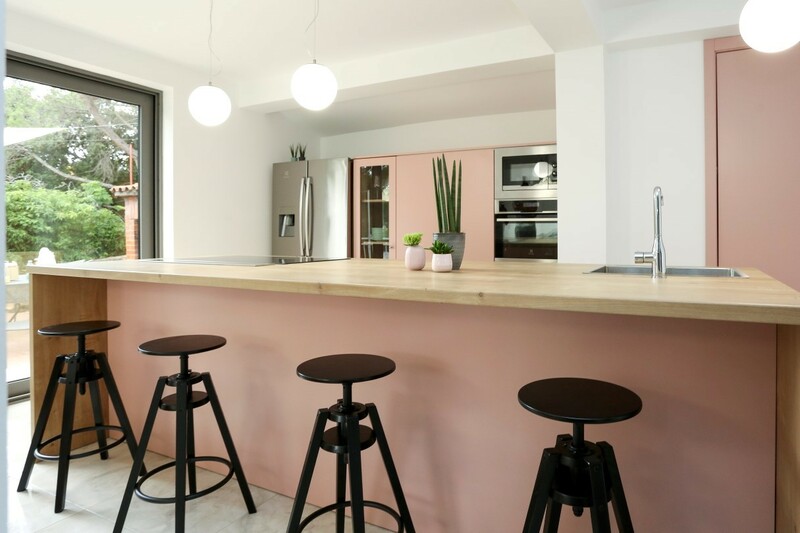 Villa The Beauty of Sibenik is located in the small peaceful town of Žaborić just a few kilometres away from the famous historical city of Šibenik. 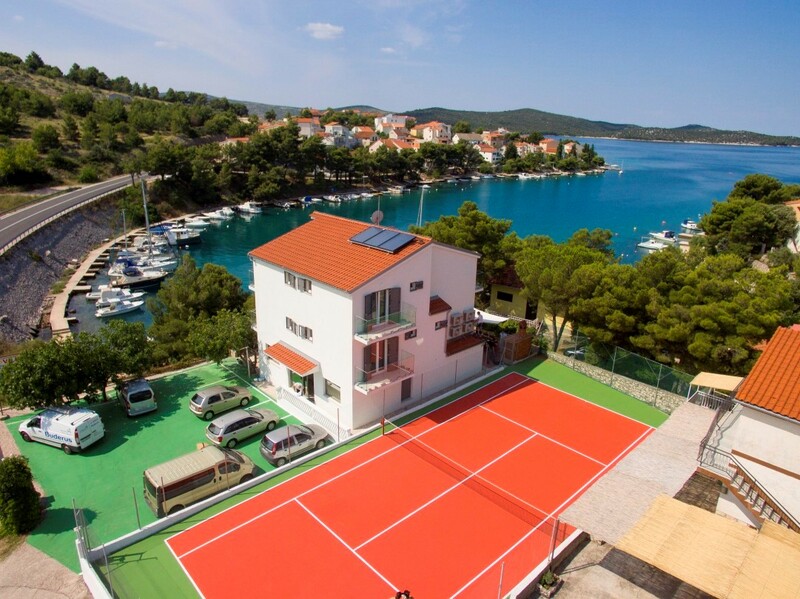 Just a few steps separates you from the sea and this amazing villa with an own tennis court and many other cool features! 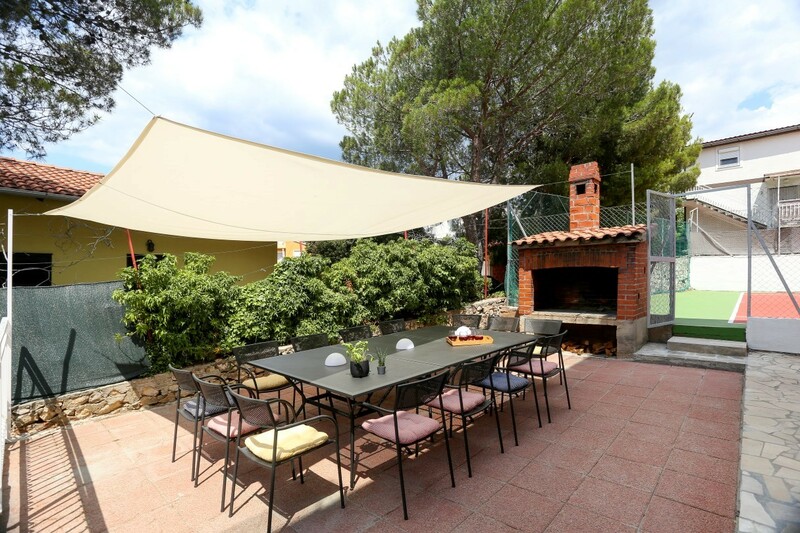 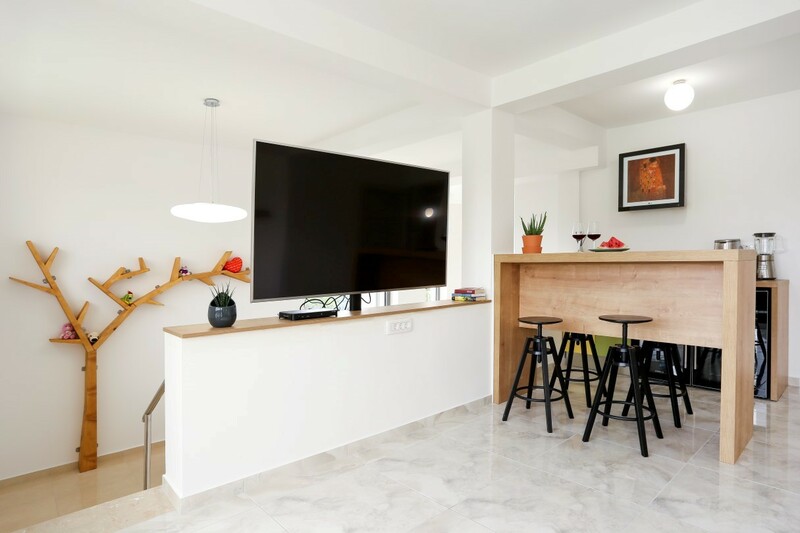 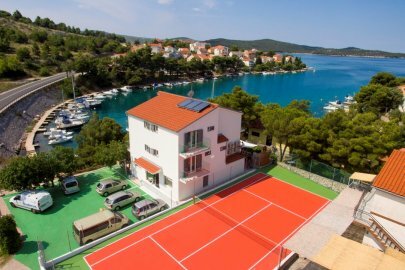 Tennis and sport lovers will love their vacation in this villa which also has a docking place for the guests' boat and its own shuttle service to and from the airport with extra charge. 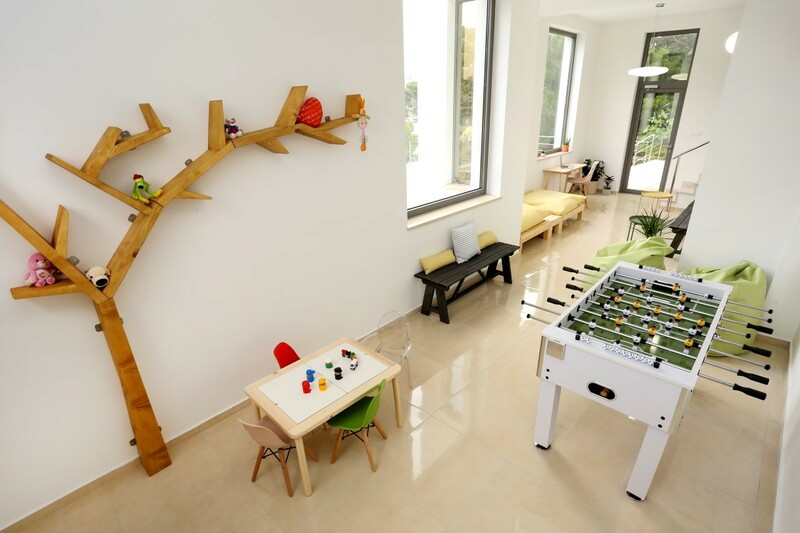 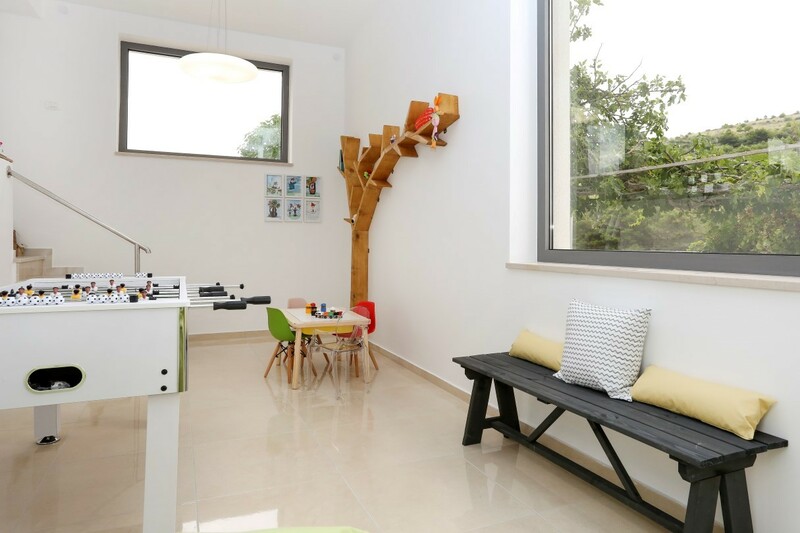 There is also a playroom for children and adults, equipped with table soccer and other games suitable for kids, so they will enjoy it! 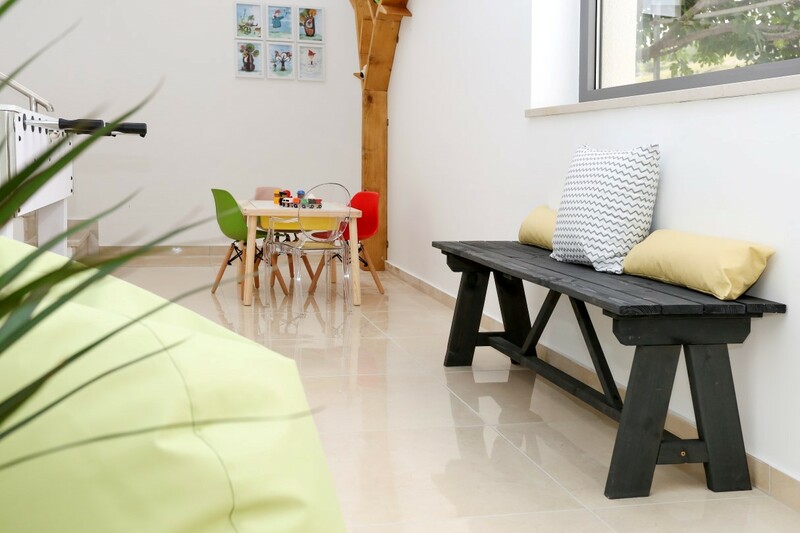 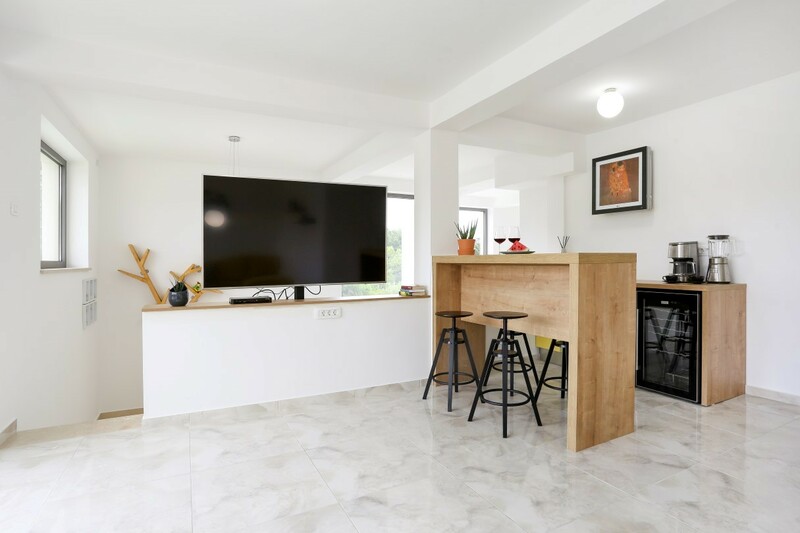 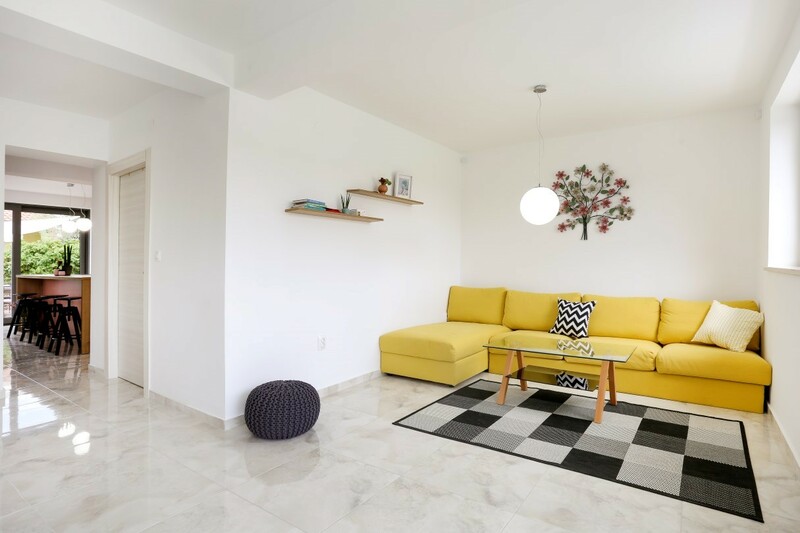 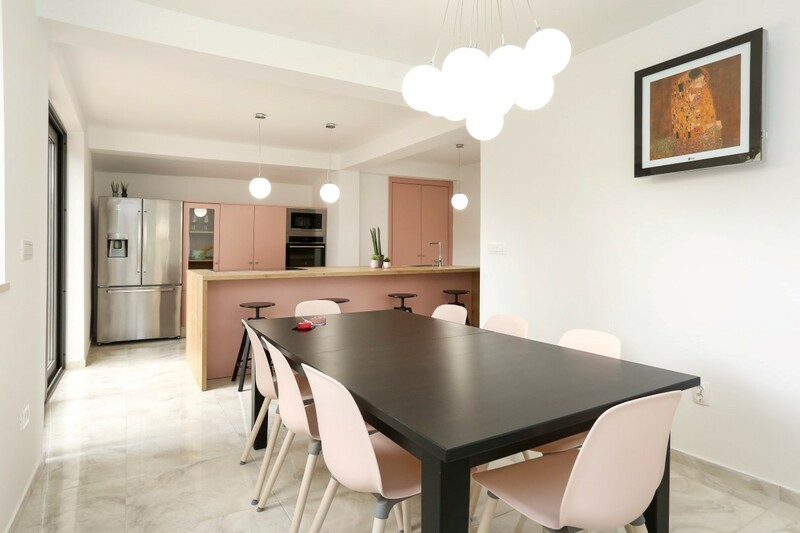 This beachfront villa has a fully equipped kitchen and a spacious living room for various gatherings while the children are having a good time in the playroom. 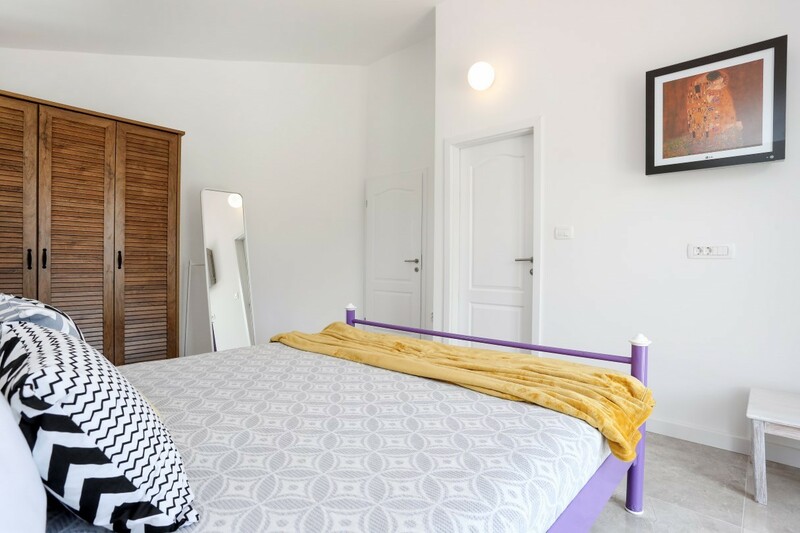 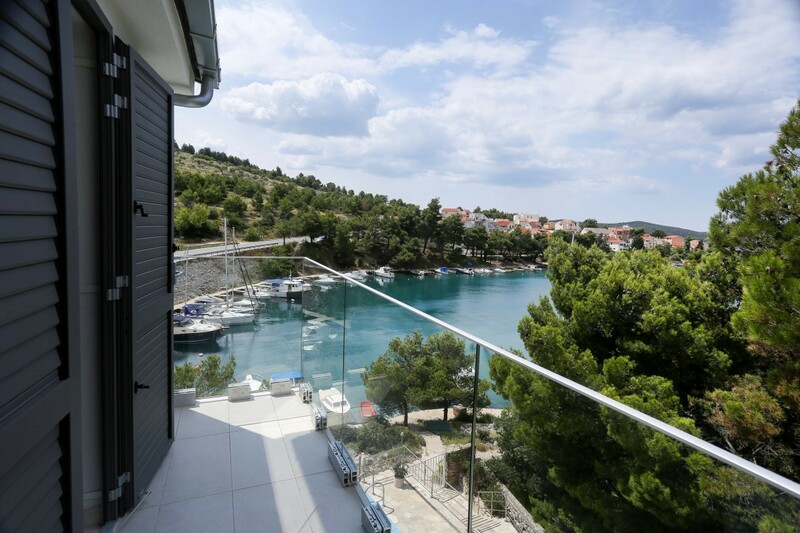 It has 7 modern double bedrooms with sea view each having its own en-suite bathroom and air conditioning spreads throughout the property. 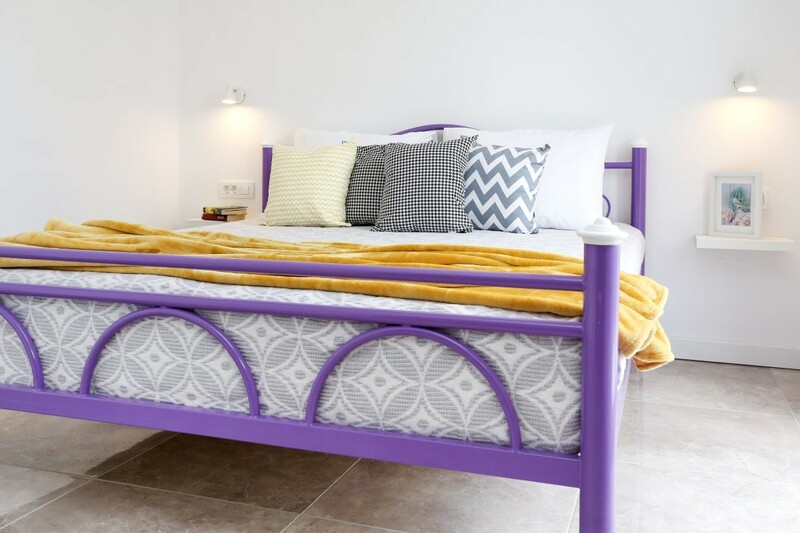 There is also a baby cot available. 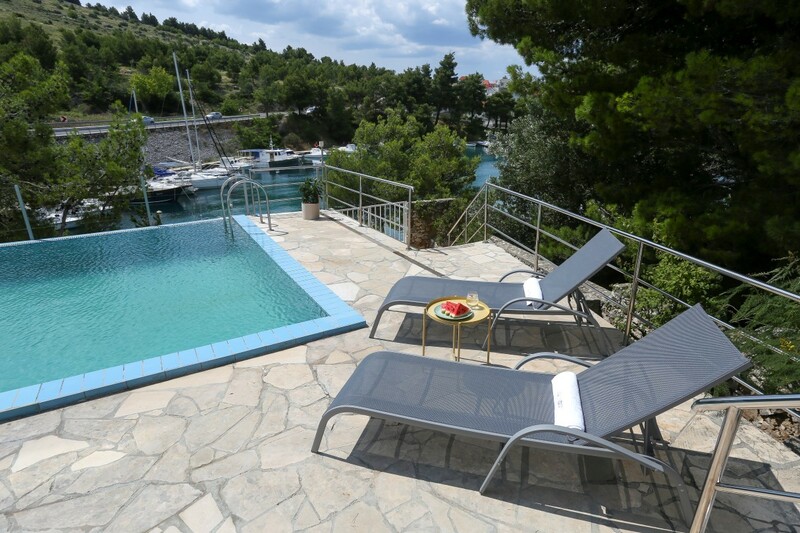 For full relaxation there is a 65 square meter swimming pool on the outside of the home with comfortable sun loungers and magnificent views. 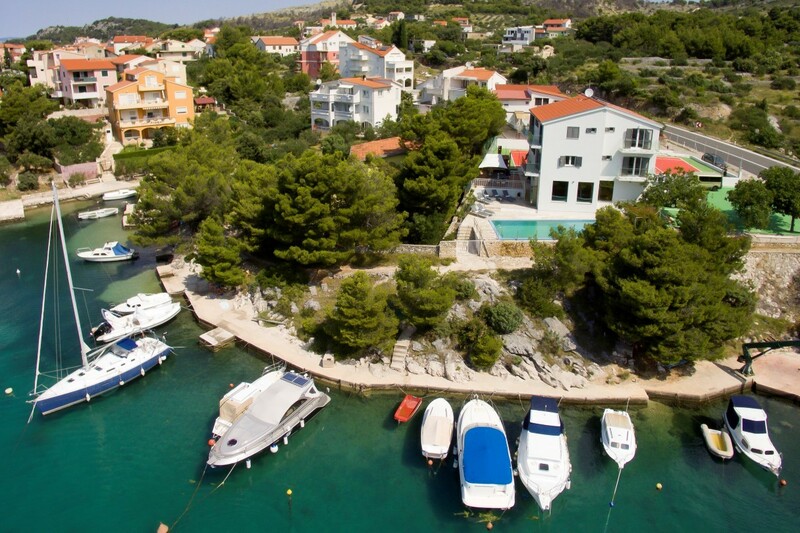 Enjoy a cocktail and a barbecue in the sunset to get the true feeling of a Croatian summer. 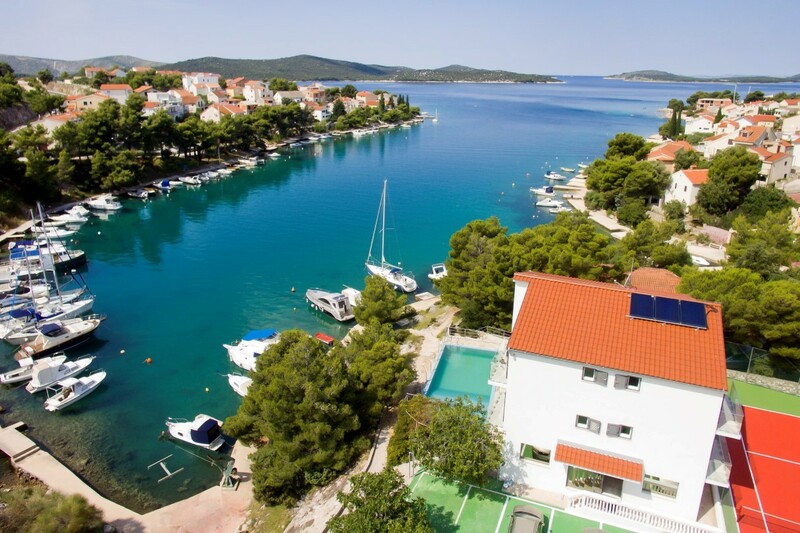 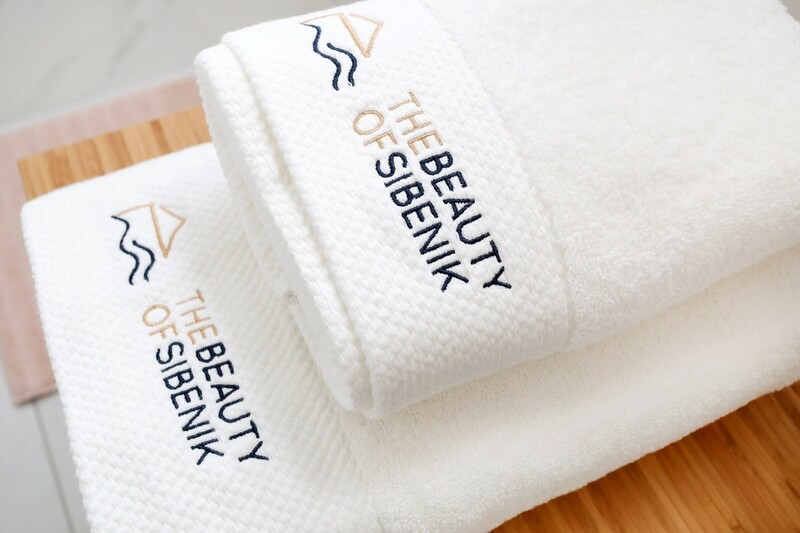 The city of Šibenik is only 9 km away and it is worth a city tour, as well as the National park Krka and Kornati. 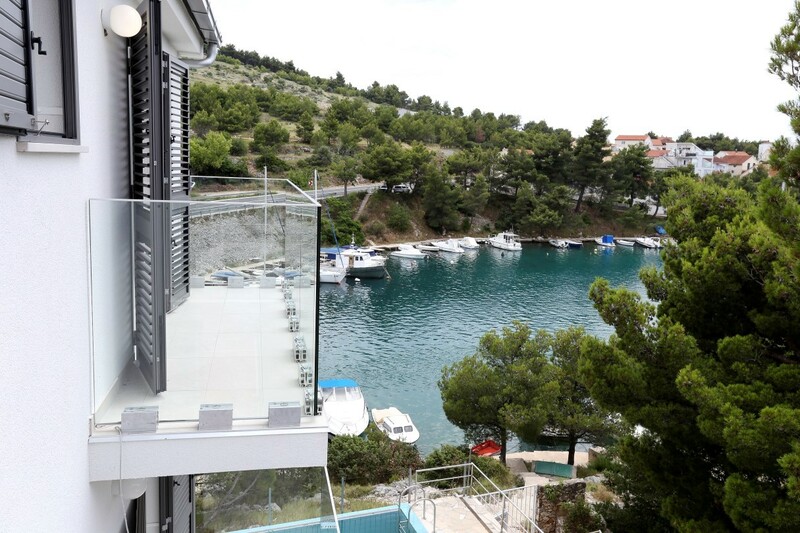 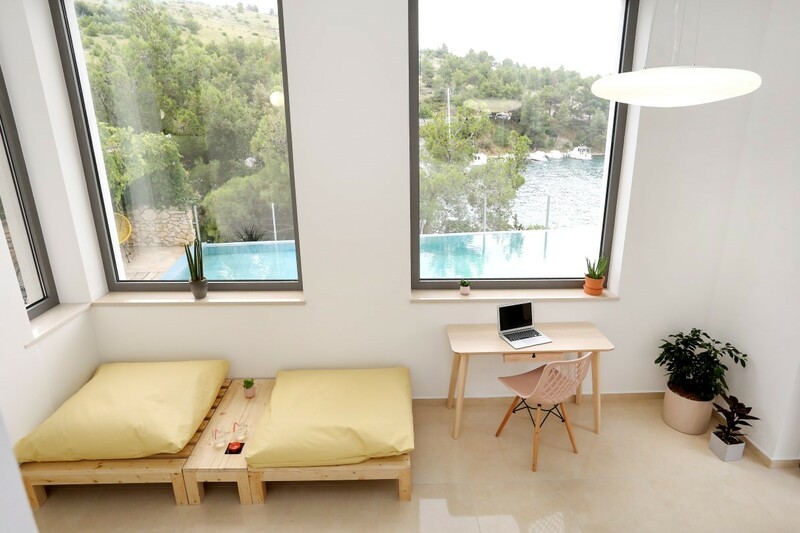 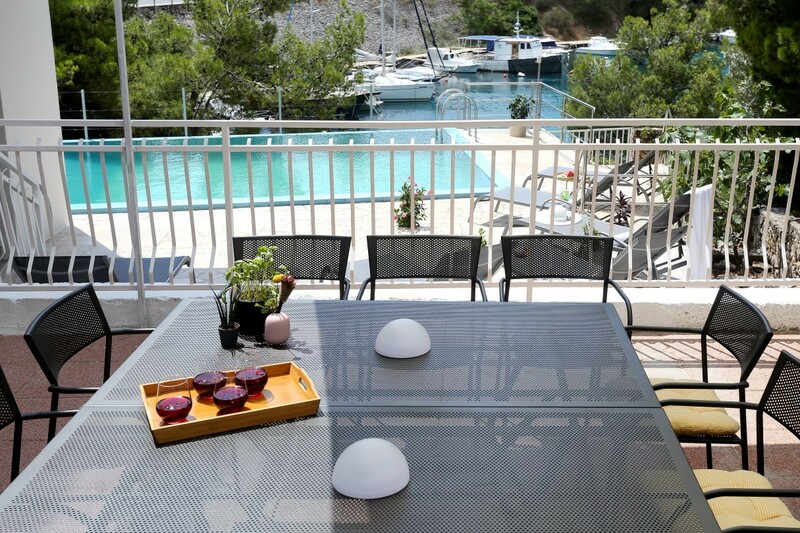 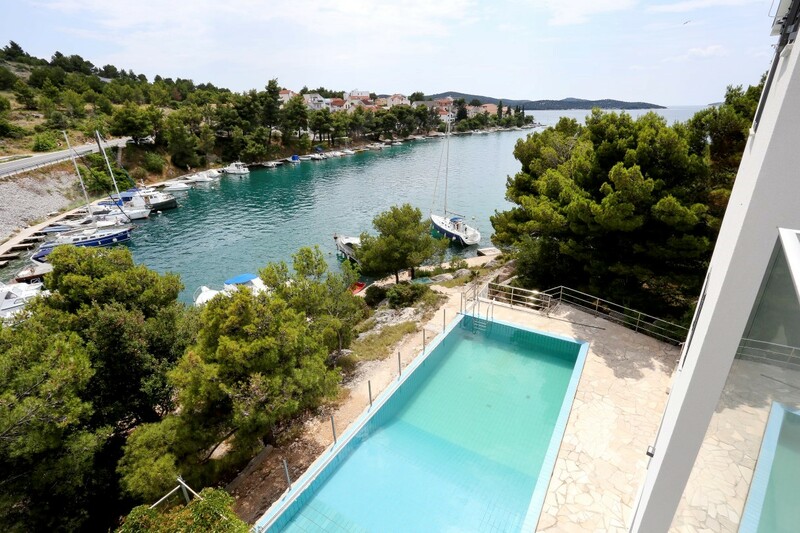 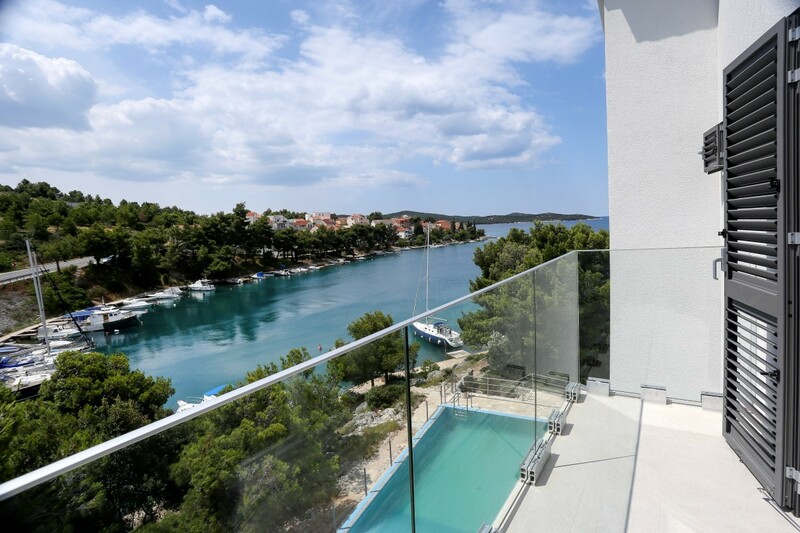 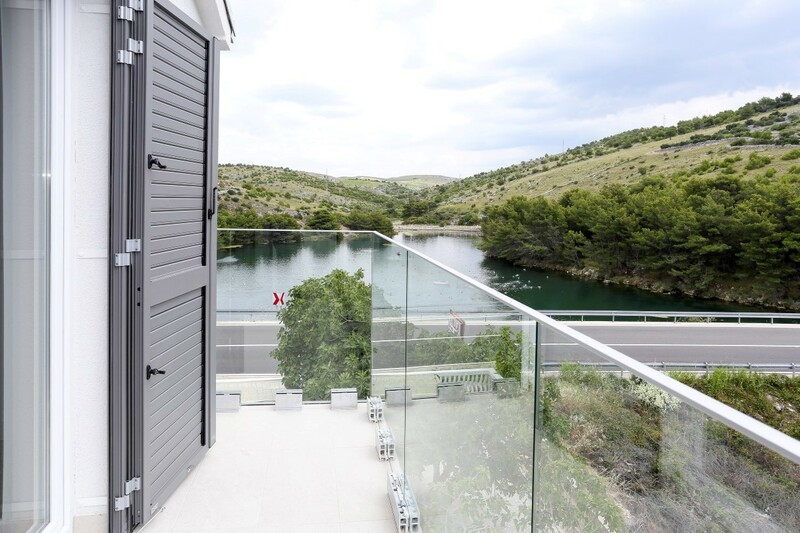 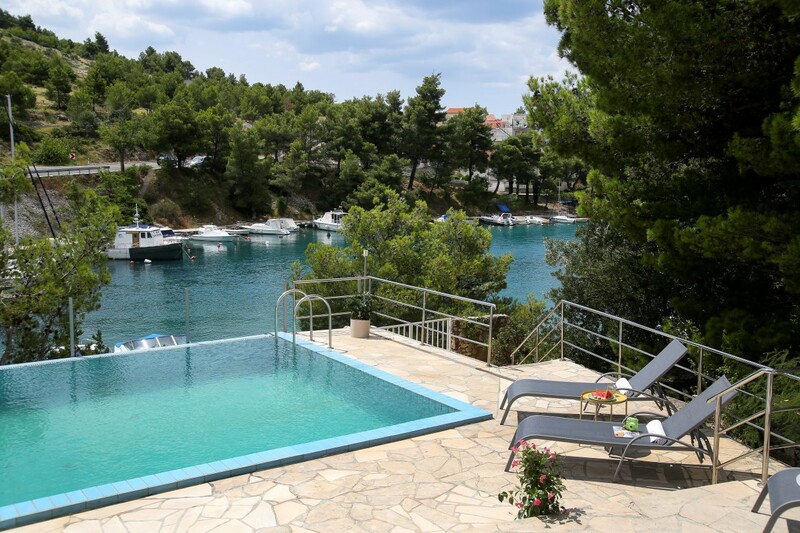 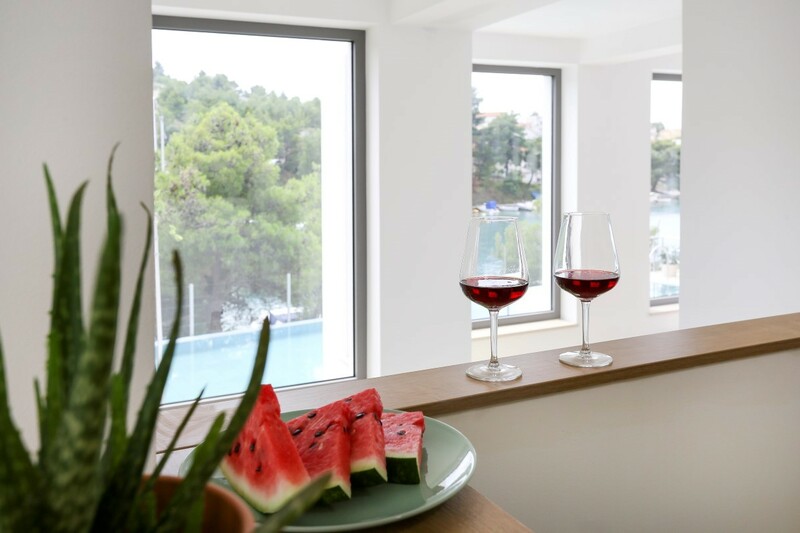 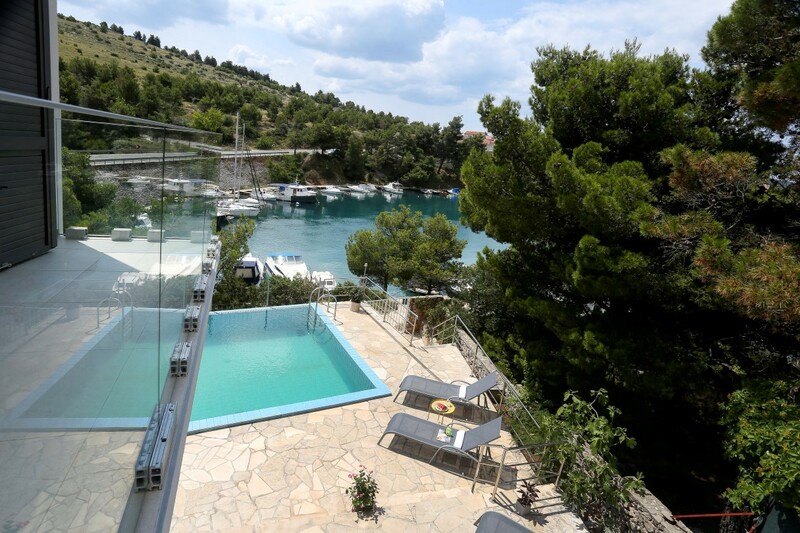 Make this villa your next vacation choice and experience the Šibenik area and Dalmatia to the fullest!